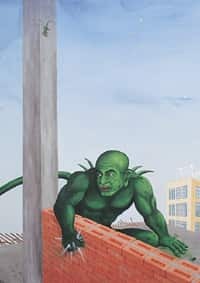 A bright green reptilian monster looking eerily out of the canvas from behind a half-constructed brick wall. A skeleton on its knees, its hands folded, as if begging to be freed. A man crouched in a foetal position, covered by a halo of white light, floating in the air. Each of these paintings—by Jagannath Panda, Bari Kumar and Baiju Parthan, respectively— depicts an intellectual concept or thought. On actual viewing, these works seem to be less about form and more about what the artists are trying to express. The first, an untitled work by Panda (2006), for example, comments on the negative aspect of the construction boom in cities. Don’t ignore the devil lurking behind swanky skyscrapers, it seems to say. The highest that Panda’s works have sold for so far is about Rs10 lakh. In the forthcoming auction, it is estimated he may fetch up to Rs30 lakh. You are forced to make your own interpretations—in most cases, about something related to the world at large—as you browse through the 150 artworks to be auctioned at the Autumn online auction of saffronart.com on 5 and 6 September. This is Saffronart’s third auction this year, and the second of contemporary Indian art. The last one, held in March, yielded a total of Rs18.6 crore. Some of the artists featured were Atul Dodiya, Subodh Gupta, Shibu Natesan and sculptor G. Ravinder Reddy, whose 6ft fibreglass head of a tribal Andhra woman fetched over Rs1 crore—a first in Indian sculpture. Many of the names in the forthcoming auction are the same, except that the selection process for this one has been driven largely by a work’s content rather than form, style or an artist’s popularity. Minal Vazirani, director and co-owner of saffronart.com, explains: “An increasing number of buyers are interested in works whose aesthetics they can identify with. These are buyers who are interested in or perhaps already own works by Tyeb Mehta and S.H. Raza. But they are also into art that mirrors their own beliefs about the world and society." 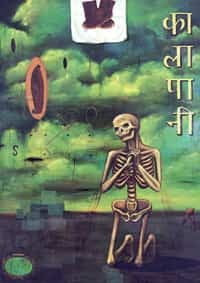 The total estimated yield from this auction, like the last one held in March, is expected to be between Rs11.5 crore and Rs13 crore and Dodiya’s work Chikoo Drawing (1989), on the cover of the catalogue, is expected to fetch the highest—between Rs60 lakh and Rs80 lakh. An acrylic on canvas, it is from a phase in Dodiya’s oeuvre when he was making purely figurative works. This one has a young boy scribbling on a wall next to a window that looks out into the sea. Vazirani also expects Gupta’s works to fetch as much, if not more. “Both these artists have gained a lot of international exposure in the last year and their resale value for buyers is the highest," she says. The easily recognizable names are, of course, the safe bets. What also sets this auction apart are the newer, younger names such as Kumar, Panda and A. Balasubramaniam, who are yet to earn international repute but have the right things going for them. “The artists we choose should have had enough representation in the primary market such as galleries so that they are in the radar of buyers," says Dinesh Vazirani, co-owner of saffronart.com. Once that basic criterion is met, theme and style follow. Says Mumbai-based artist Dodiya: “Many more Indian artists today are willing to make political statements compared to, say, a decade ago. And Saffronart is the best platform because, unlike many online galleries worldwide, they are choosy about the works they put up for auction." Los Angeles-based artist Kumar, for example, is a relatively new name in the Indian art world. His only solo show in India, In Absentia, was held at the Bombay Art Gallery, Mumbai, in 2006, but he has had solos in London’s Grosvenor Gallery and the Bose Pacia Modern in New York City. Kumar’s works are estimated to sell in the range of Rs6 lakh to Rs7 lakh range. Also expected to do well are works by Balasubramaniam and Panda. A preview of the works to be auctioned will be held on 31 August at the Saffronart gallery at Industry Manor, 3rd floor, Prabhadevi, Mumbai. u Featured artists in this auction include the masters, whose works have already done phenomenally well at earlier Christie’s auctions—from the Progressives, such as F.N. Souza, S.H. Raza, Tyeb Mehta and M.F. Husain, to contemporary artists such as Atul Dodiya, Jitesh Kallat and T.V. Santosh. u In contemporary art, Atul Dodiya’s ‘Three Painters’ is expected to fetch between Rs61 lakh and Rs81 lakh. In this work, he pays homage to diverse masters who have significantly influenced his work. u Bhupen Khakhar’s ‘I, Me, My Village’, an important work in this auction, is expected to get anything between Rs81 lakh and Rs1 crore. The work juxtaposes elements of Indian miniature paintings and imagery from Hindu mythology with early Italian painting and Byzantine imagery. u The number of lots on sale is down from 160 in Autumn 2006 to 145 this year. According to Ganeive Grewal, Christie’s representative in India, the art market has matured and buyers are now more cautious and discerning in their choice. u The preview will also include works from the Contemporary Jewels and Watches auction to be held in Dubai in November. There are rare pieces by Cartier, IWC, Piaget, Vacheron Constantin and Patek Philippe. The preview was held at Imperial Hotel, New Delhi, on 24 August. The auction is on 20 September in New York.